August 19th, 2001 was the day that Zelda Dungeon was born. What started out as nothing more than a tiny yahoo geocities site has since turned into one of the most popular Legend of Zelda websites ever to exist. Right from the beginning Zelda Dungeon has always been a guide based website and it was just days after I launched Zelda Dungeon that I started working on our first guide, the Ocarina of Time Walkthrough. Flash forward 9 years and we now have complete walkthroughs for just about all the Zelda games, some of which are by far the best you’ll find anywhere on the net. A lot has happened since our 8th birthday last year. The Zelda Dungeon YouTube Channel has doubled its number of subscribers to over 9100, the Zelda Dungeon FaceBook page has grown to having over 4500 likes, and the Zelda Dungeon Forums have exploded in activity, now extending to over 140,000 posts. Perhaps our biggest achievement was the launch of our Spirit Tracks Walkthrough in late 2009, which brought Zelda Dungeon to reach an audience of well over 25,000 people each and everyday. Another one of our huge successes has been our Live Streams. While we haven’t had many of them in recent months, they are always attracting huge audiences and have been a lot of fun. With that said, I’d like to formally announce that our next live stream will be held this Sunday August 22nd and will begin around 11am US Central Time. (9am US Pacific, 12pm US Eastern, 4pm UTC). In past streams we have live streamed several different Legend of Zelda games and this time around we will be doing the same, but with a bit of a twist. 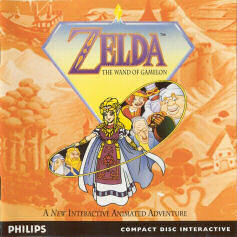 I will only be live streaming one game and it is none other then Zelda: The Wand of Gamelon. For those of you who haven’t heard of the game, it was one of the disastrous Zelda games that was created for the Philips CD-i home console in the early 90’s. The console had initially gotten Nintendo’s support, and thus had the license to produce both Zelda and Mario games. The rest is history. For more information concerning the game, take a look at the Zelda Wiki Entry. One quick note, I have played the game for all of 5 minutes, simply just to test it out to ensure that my Philips CD-i and game both worked. Thus, when you are watching the live stream this Sunday, it will be the first time that I’m actually playing through the game. Happy Birthday Zelda Dungeon and I hope you come and join us this Sunday for the Zelda Dungeon Birthday stream. It’s set to kick-off at 11am US Central time and I’ll be joined by numerous guests throughout the day. See you all then!